Follow us on Facebook for photos, news, and more! You can now book your salon service easily from your home, work, or mobile! We have the best crew in Chautauqua County with flexible scheduling! From your wedding to prom; hair to nails; we have you covered with a wide array services. NEW Massage Therapy services are now available at Forbici Hair Design. 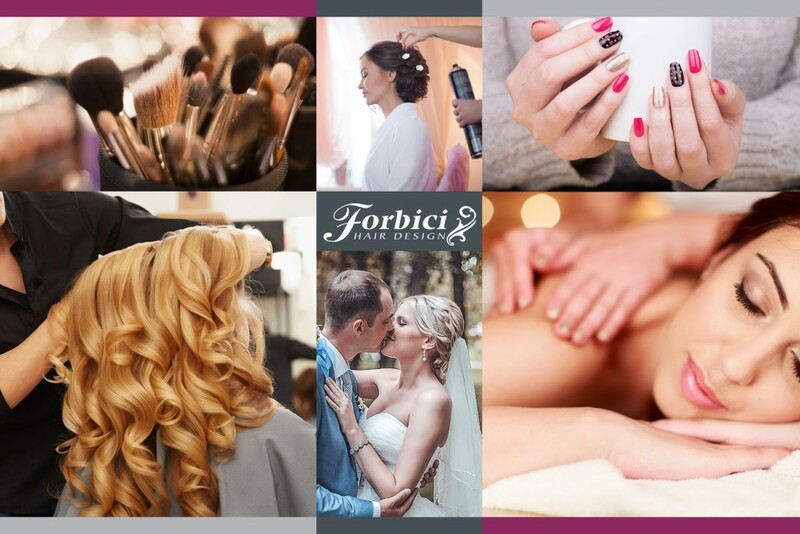 Forbici Hair Design was established in 2010 and is one of the fastest growing hair salons in the Jamestown, NY, area for 3 main reasons. First, our stylists have decades of combined experience in the hair and nail industry on a local and national level. Second, we continue to educate ourselves on the latest techniques, styles, and trends to offer our customers the best experience possible. And lastly, we are one of the top salons in the region for wedding day hair, nails, and airbrush makeup and we offer on-location bridal services. However, the most important thing to remember about Forbici Hair Design is that we want to teach you why we do what we do. Questions mean a lot to us and are always encouraged during your service.